The Libyan Coast Guard rescued 87 illegal immigrants in two separate operations north of the coast of Tripoli. Spokesman for the Libyan Navy Brigadier General Ayoub Qasem, clarified Sunday, that the Libyan Navy vessel "Fezzan" carried out two rescue operations 22 miles north of Tripoli, explaining that the majority of migrants were of African nationalities. "Fezzan vessel rescued 20 migrants while earlier 67 immigrants were rescued and brought to Libyan shores, among them 11 women and 8 children," Libyan Navy confirmed. 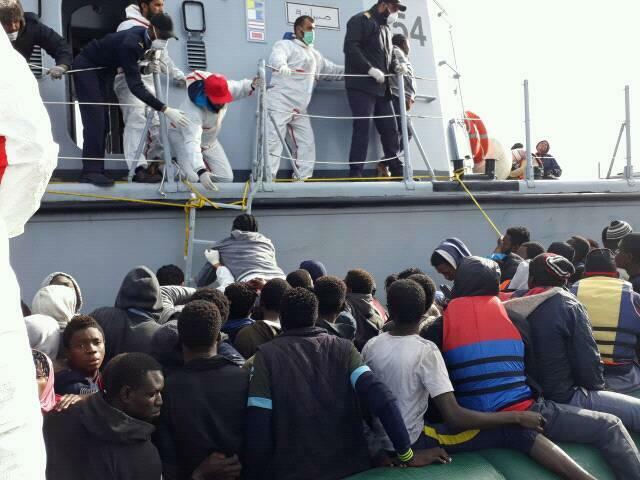 The migrants were later referred to the relevant authorities, Libyan Navy Spokesman added.